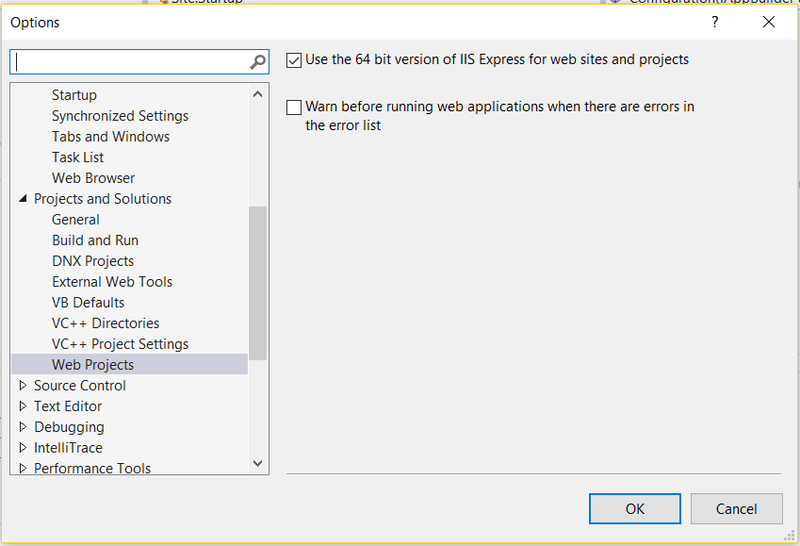 I got the below assembly load error, while I was running my ADX Portal web site from Visual Studio. Could not load file or assembly ‘Microsoft.Cloud.InstrumentationFramework.Events’ or one of its dependencies. An attempt was made to load a program with an incorrect format. Issue was not with missing .dll reference, as I already had the “Microsoft.Cloud.InstrumentationFramework.Events.dll” added to my project. Enabling an option in my Visual Studio Project fixed the issue. Enable “Use the 64 bit version of …” option. Dynamics 365 is the next generation of intelligent business applications. The “Project Madeira” (Dynamics 365 for Financials), small-business financials offering. Dynamics 365 will be integrated with Office 365, the Office Graph.